I don’t know about you, but as a kid I LOVED watching How It’s Made on the Discovery Channel, and my favorite clips from Mr. Rogers were always when he showed how something was made! Even now as an adult (and being married to a manufacturing engineer), I can’t help but watch these when they show up on my recommended videos. Kids are constantly seeing final products, and most of the time they have no idea how those things got there, yet they are fascinated by the process! I put this lesson together after being mesmerized by watching crayons be made in a factory, and my students loved it! I’m all about making lessons applicable to real life where possible, and factories are places where math is used every day. Rather than get bored of more worksheets to practice our long addition and subtraction, I decided to have students think through some more challenging problems. The entire time kids were “ooh”-ing and “aaah”-ing. They didn’t even complain when I handed them a worksheet! We worked through the first problem together, discussing what kind of word problems they were solving. I told students that each problem builds on the previous ones, so they should look at their answer from another problem if they aren’t sure which numbers to use. My students really improved their critical thinking when I had them work through this activity and think about what the question was actually asking. They collaborated to figure out which information they needed to use to solve each problem, and they practiced more complex addition and subtraction problems at the same time! 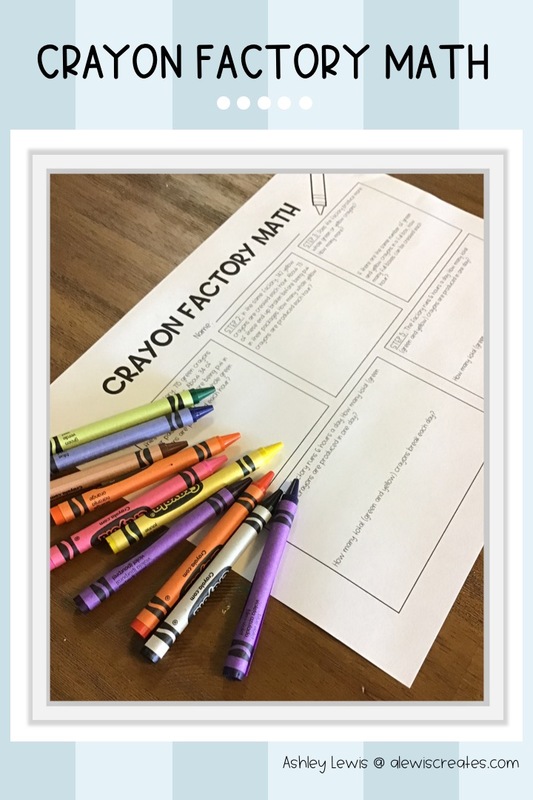 Try this with your students and download the Crayon Factory Math worksheet by clicking the button below!